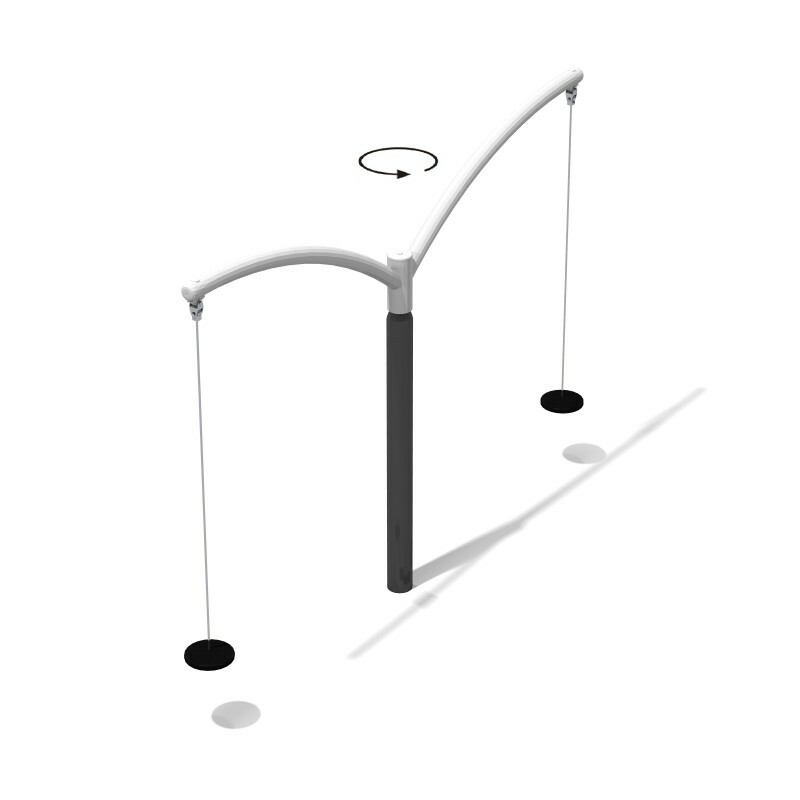 Inter-Play products will be great investment for many years for your playgrounds! From design, components, fabrication, an outstanding product emerges. Tried and tested with weights, cycles, and weather exposure. These products are designed for children 5-12, their grade school years. 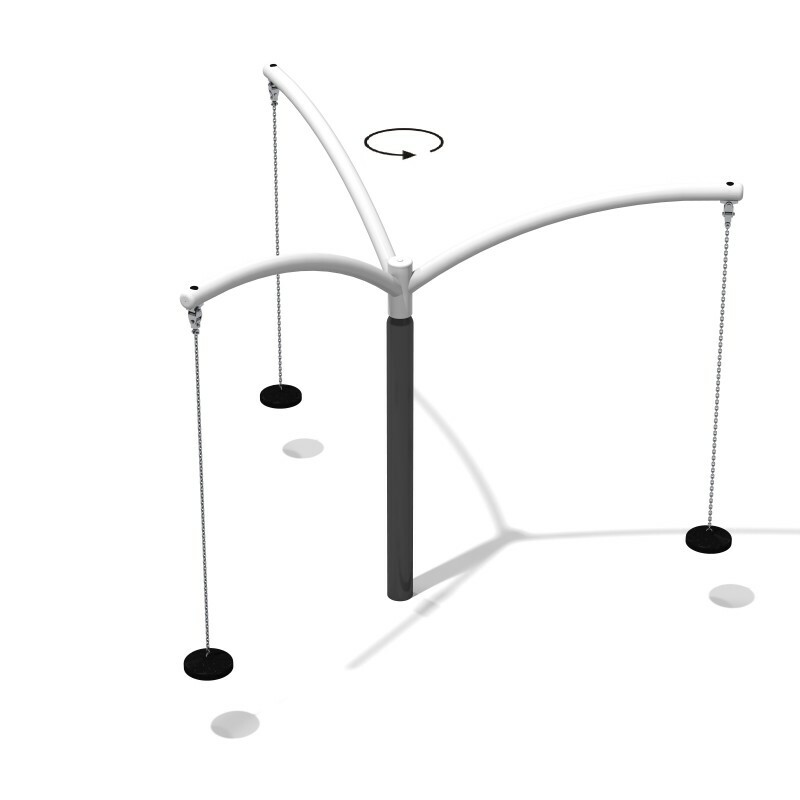 Our large selection of play components are designed for whole-body fitness of these older children. We have 6 hanging roundabouts in our offer which are divided into two groups: Zephyr and Monsoon. Each group has 3 models. 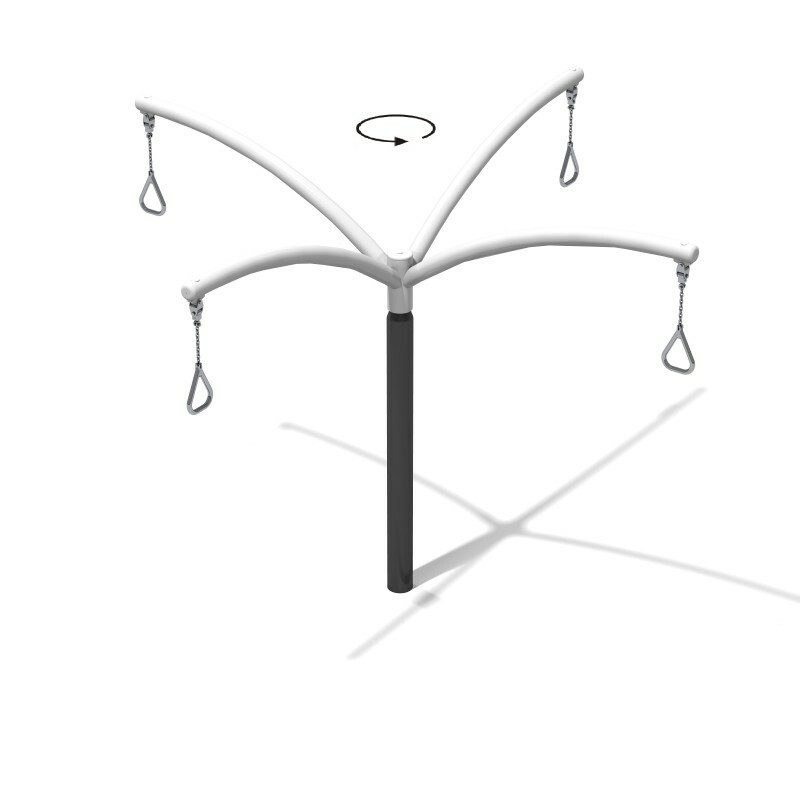 Each hanging roundabout has rotative system inside and to activate it, roundabout need just simple move for the top part. 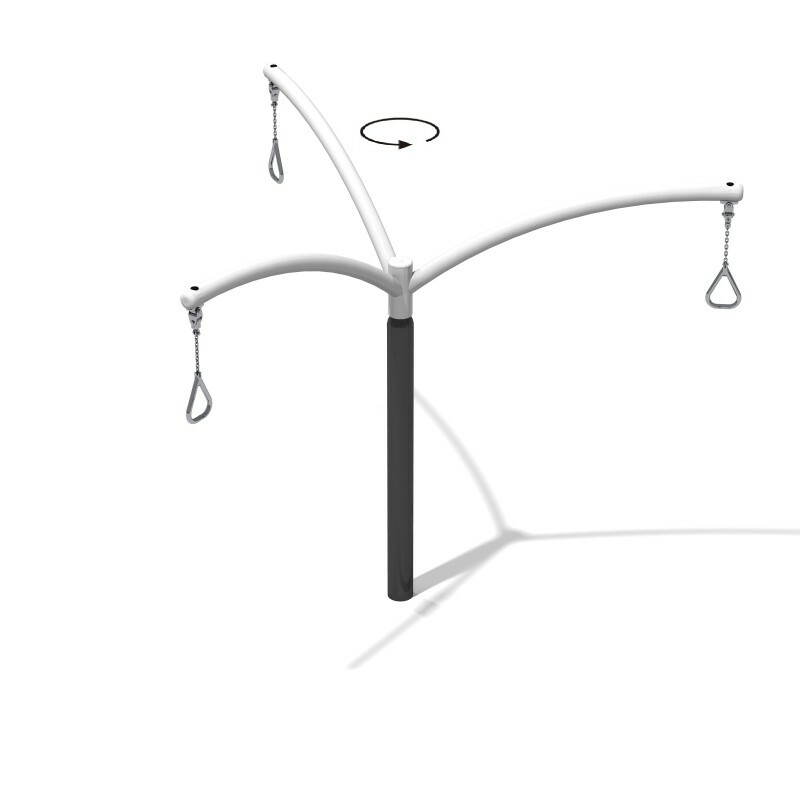 Zephyr roundabouts have handles which are mounted on the top parts. 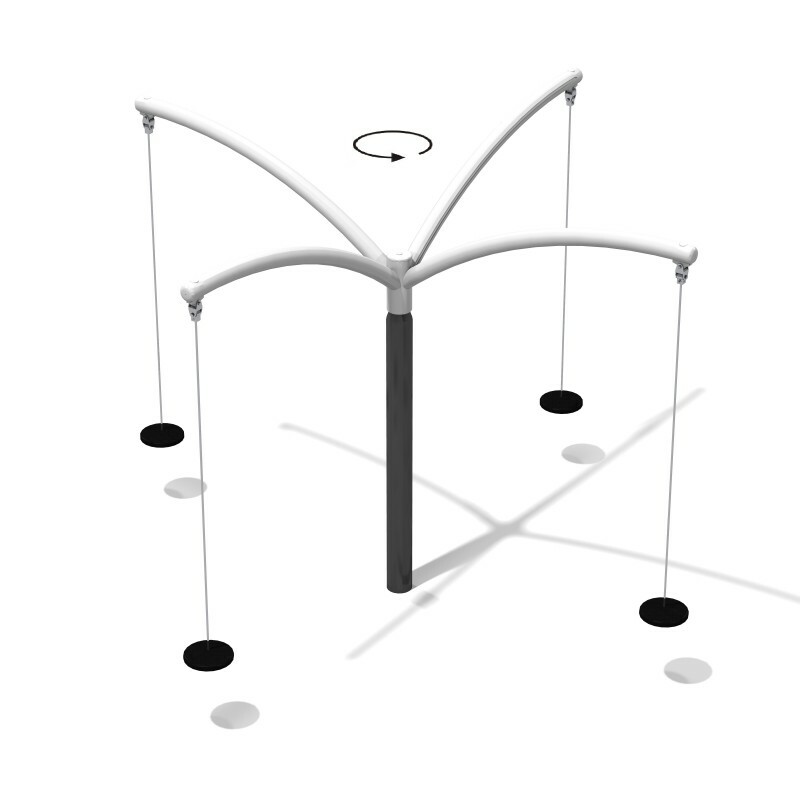 Thanks to this solution children could use just hands and hang like monkeys having great fun and spending good time with each other. Monsoon products are consist of seats which are mounted into upper arms which also provides a lot of fun. Both group have products with 2,3 and 4 arms to increase number of users. 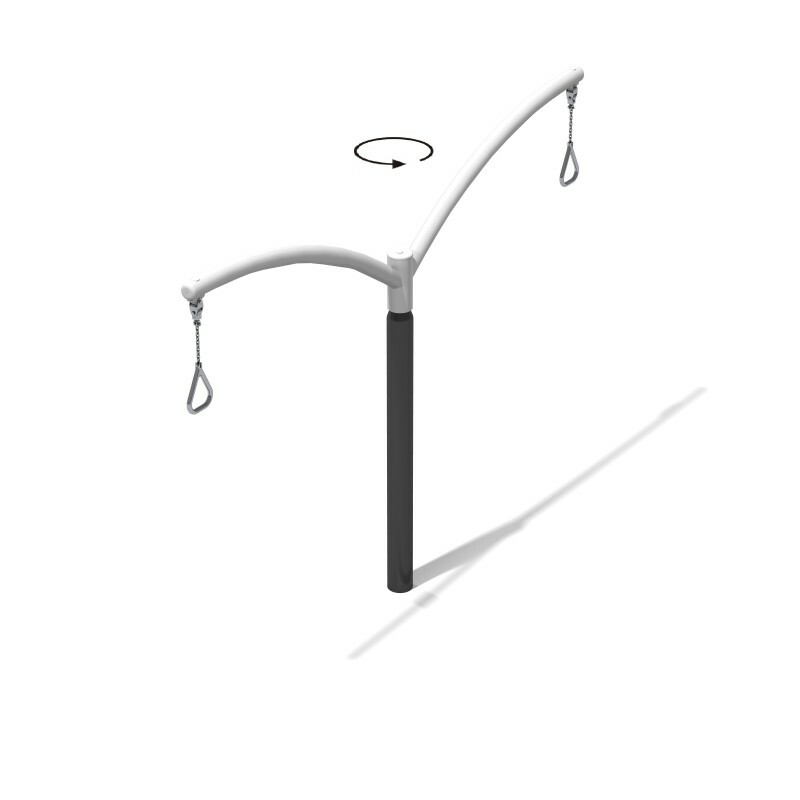 Hanging roundabouts are from Roto series. They are made of galvanized steel and powder painted. We use for them RAL 9006 and RAL 7016.